This is another Key Art design that I emulated one of the greatest American artists bar none, Drew Struzan. He is the most prized artist used by the major studios. His posters illustrate the movie in such a way that he hooks the public imagination. I tried doing the same thing with 7 Kilos. I created the title treatment to emulate the crystal meth magnified. While working at Laguna Films I met the director, he loved the poster but they decided to go into another direction. Which was this photo montage, I like the composition. 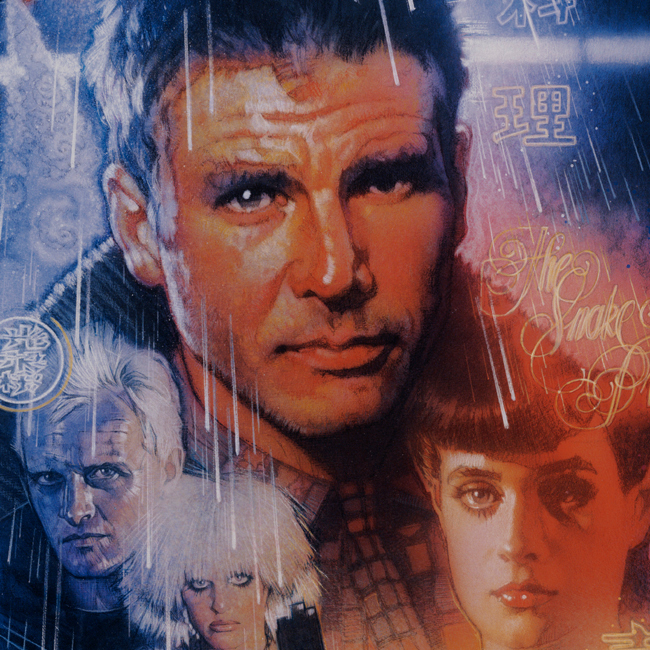 Drew Struzan Blade Runner movie poster. Drew Struzan is the greatest Key Art designer of all time. I’m a big fan of the mans work. The work he does draws you in and introduces you to a story. This was a case study and exercise in photography, make up, and Photoshop, I created. Mexican Planet of the Apes.